HLers visit the University of Virginia! 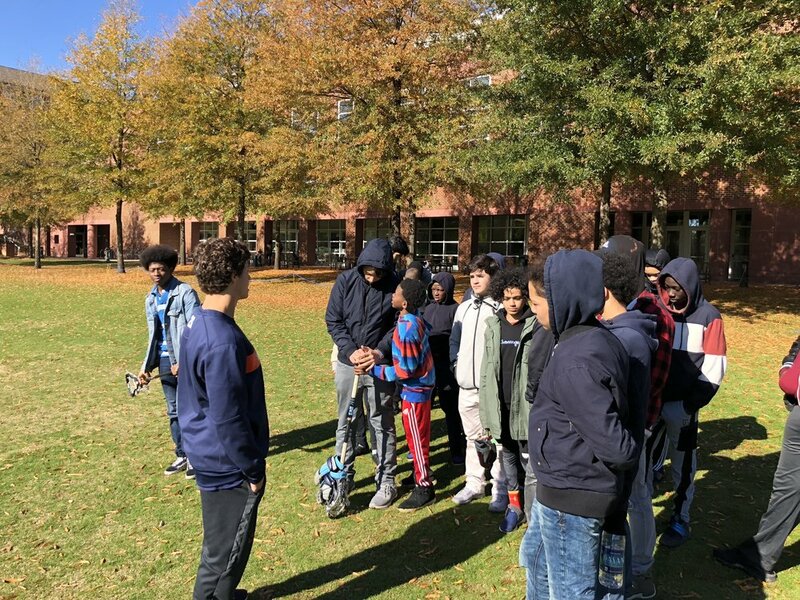 This past weekend, Harlem Lacrosse students from Frederick Douglass Academy visited the University of Virginia. 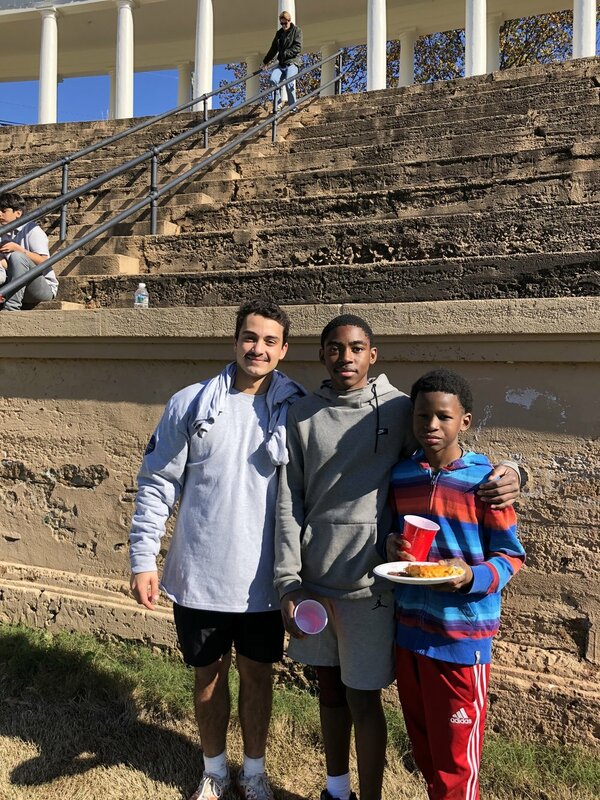 The HLers participated in the Will Barrow Memorial Flag Football tournament hosted by the UVA Lacrosse team, defeating the UVA lacrosse junior class in a lopsided 28-7 victory. The tournament brings together college lacrosse players from several top teams to raise money to fund the UVA Help Line and to fund the Will Barrow Memorial Scholarship for Harlem Lacrosse student-athletes. Several other highlights from our time on Grounds at UVA were attending the UVA vs. Liberty football game at Scott Stadium to cheer on the 'Hoos; a campus tour from UVA 2nd year players; and meeting legendary Dean of Students Allen Groves to learn about the history of UVA, his role in student life on Grounds, and what it takes to be a student at the University of Virginia. 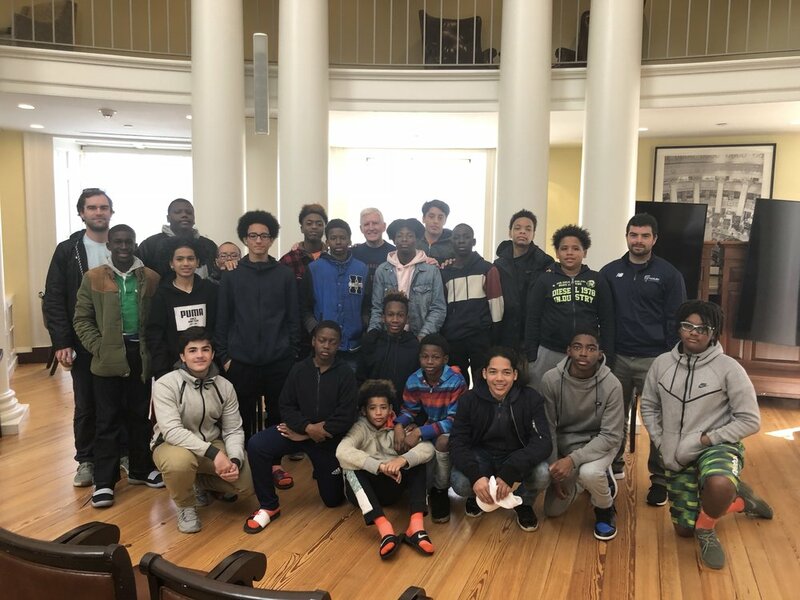 During the weekend, the boys also enjoyed a team dinner and a shoot-around at St. Anne's-Belfield school with HL board member and Hall of Fame Coach Dom Starsia. 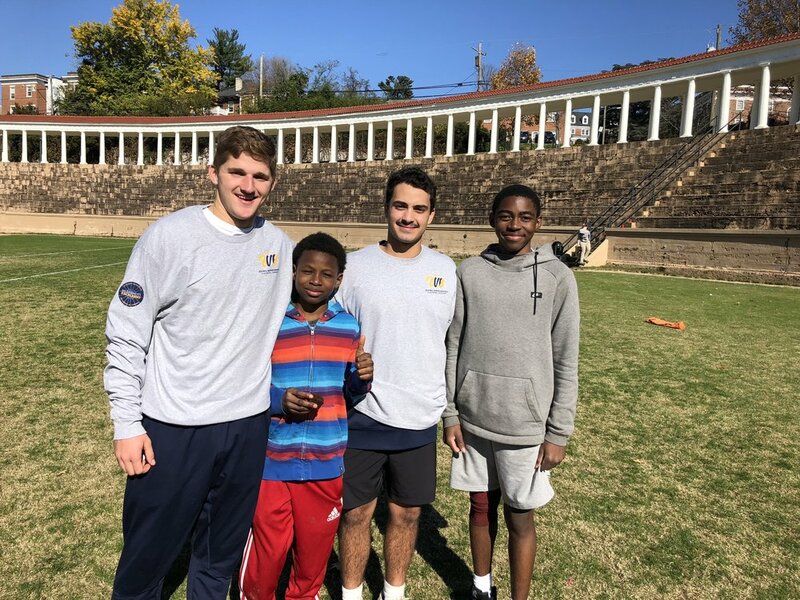 Thank you to Cory Harris and Jackson Appelt from the UVA lacrosse team, STAB Coaches Bo Perriello and Hunter Price, the Farinholt family, Dean Groves, and Coach Starsia for being great hosts during our time in Charlottesville!